Join EMC & friends live from VMworld Europe 2015 & find out what we're presenting at the show. Meet EMC at VMworld Europe 2015! Today, we will talk about what we’re all doing at the show, hybrid cloud news and more. Enjoy, learn and have fun with us! We have 18 speaking sessions, pleny of booth presentations with partners & customers. What have you seen so far guys? @suzyspaatz I have had some great crowds at my Federation Enterprise Hybrid Cloud mini theater presentations at both EMC and VCE booths! Some of the most interesting things I've seen so far is of course tied to the Cloud-Native Apps space, where VMware is making big strides towards a fully fledged container management platform. Cool. Good to hear Mike. I really enjoyed @sakacc's smorgasbord yesterday. He packed a ton on info into less than 1 hour. When we talk to customers about hybrid cloud, they often talk about moving their applications in. I like what VMware is doing with vRealize Automation to make that more powerful. I belive, vRealize is having unique capabilities. What do you think? VMware is very focused on the "One Cloud", trying to bridge the gap between the different cloud vendors with a big toolset, and vRA is one of course one of those tools. I agree Dinko. Customers want to move their business critical applications to the hybrid cloud and the new capabilities in vRealize Automation will help make that easier. I suspect it will help customer adoption of hybrid cloud tech. So how easy is it for a customer to migrate to a hybrid cloud solution? It’s important to note that Hybrid Cloud is not public + private. 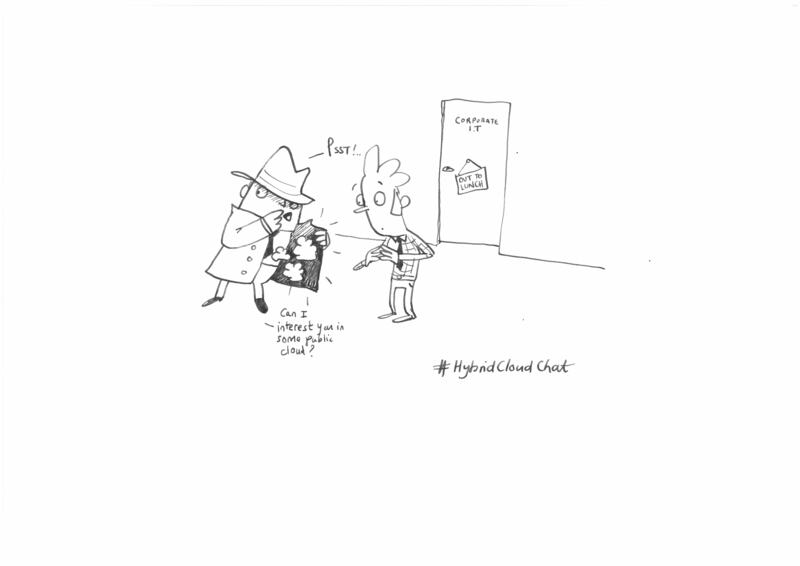 Simply having both infrastructures in place does not give you a true hybrid cloud #hybridcloudchat! What has been your main takeaway from the keynotes so far? Favorite Line from a customer "It's not about the big beating the small but the fast beating the slow"
The Cloud-Native Apps (#vmwcna) and the Photon Platform, definitely. For me it's been that VMware has been clear that they're willing to go where the market is going and continue to lead. Whether it's evolving their cloud products or adopting container technology, they've shown they'll continue to innovate. How about you other guys at #VMworld right now, not just EMC people? What's been your main takeaway? For me if has been the Integrated Containers - this gives businesses the opportunity to get their feet wet in the world of containers whilst running it alongside their existing VM instrastructure. RecoverPoint for VMs 4.3 SP1: Great update for RP4VMs bringing enhanced scalability, more comprehensive automation capabilities and the power. Use _all_ the public and private resources you can. Don't lock yourself in. Try new things, fail, and try again until you succeed. Let me share few. Start smal, grow big. find a change agent withing the Business. And think always about the end customer of your customer. In every industry where there are information workers, or large data reserves, it’s always the PEOPLE that are driving the #hybridcloud revolution. Like with most change, the first step is the hardest. Bring everybody to the table as you plan your hybrid cloud strategy. Remember that cloud adoption requires more than just technology and will bring about major operational change. Make sure all of your stakeholders are in it with you. Don't do it to just save money, that's a bad decision. Do it because you want to gain speed, agility and be able to push your organization forward. Native Applications. Photon Platform meets the emerging needs around containers and features "just the right level of functionality" to run cloud-native applications at scale. It is more about motivation. We will help you to define the future model, the journey, the roadmap and the next steps. Great question. I think businesses that are ready to change from IT being a cost center to being a broker of IT services are great candidates for hybrid cloud. IT becomes a value add to the business rather than simply keeping the lights on. Of course technology is just one piece of the puzzle. One area we often help customers with is adopting a new operating model that can help then transition into being this broker of IT services. That's key to adopting hybrid cloud. 2015-emc-and-vvols-roadmap-and-overall-picture.html . Read the post! We started these chats in March. Since then, hybrid cloud has been adopted rapidly. What do you think are the market drivers & how has technology evolved since the beginning of the year. I think one of the biggest market drivers is simply that IT wants to take better control of cloud services and provide Amazon-like capabilities but with better visibility and agility. Hybrid cloud lets them do just that. Tell us more about the newly enhanced Hybrid Cloud from EMC & friends. Sorry I got kicked off the internet! The way I see it many enterprises are moving towards a bimodal IT model, where they will use more hybrid resources for their new applications while also relying on traditional apps. The hybrid model will make impossible things possible. There's a whole blog series... @dinkoeror, you should be an #EMCelect in 2016!! Mr Cloud EMEA. Details on our podcast can be found below - and if you're at #VMworld, and want to carry on the conversation, let us know! BIGGEST news of the conference for #EMCELECT though.... nominations open up in November! 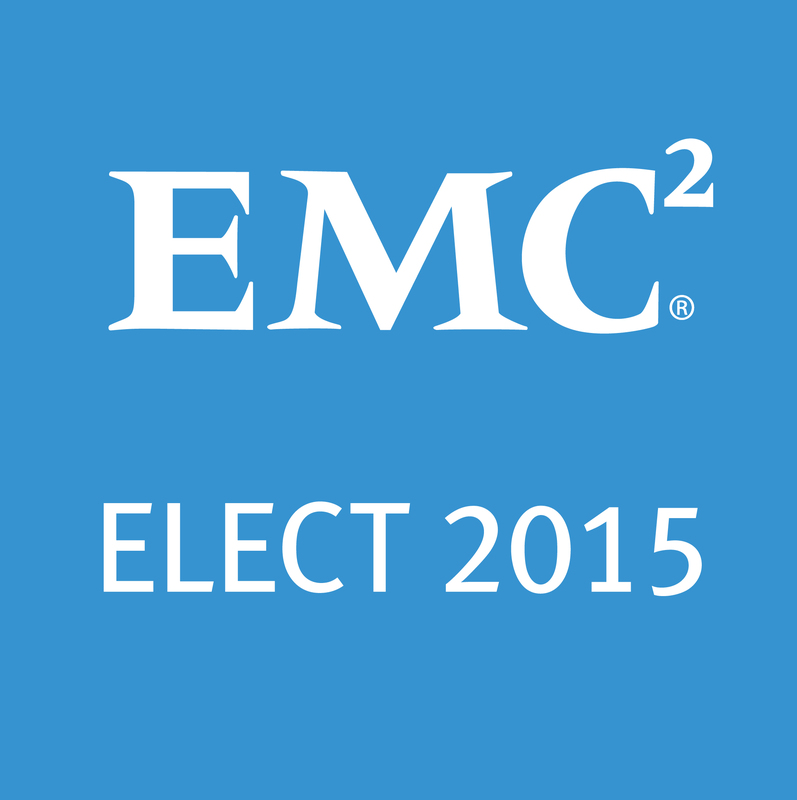 #EMC Elect nominations for 2016 membership open on November 1st. Who will you nominate?